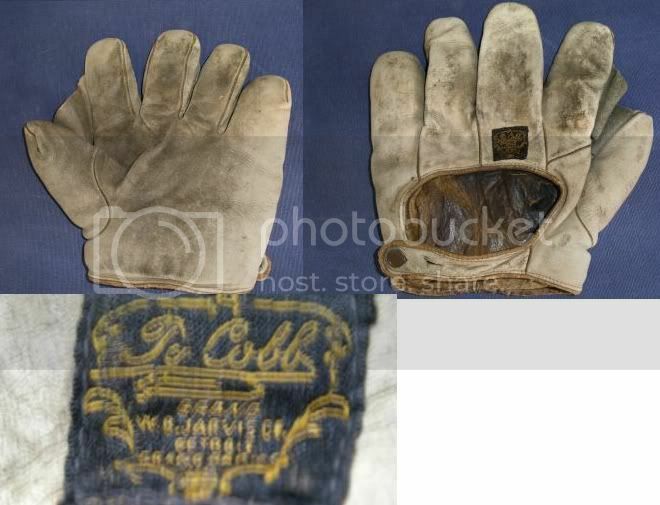 An absolute no-brainer this past weekâ€¦With 22 bids this WB Jarvis Ty Cobb fielderâ€™s glove netted $1225. It is a beautiful glove from one of the most provocative personalities to ever play the game. If you need a good read for the summer, try the Al Stump biography on Cobb. I think he wrote two versions, one that Cobb edited heavily and another after Cobb died. The one written after Cobb died is outstanding. Cobb definitely lived a troubled, brutal life, which according to many was reflected in his game on the field. Not sure, but I think catcherâ€™s mitts on average sell for far less than comparable makes, endorsement, quality fielderâ€™s gloves. It is a bit of a surprise because the giant fat catcherâ€™s mitt captures plenty of the spirit of our hobby as a look back on how the game used to be played. Below are a couple of absolute stunners. 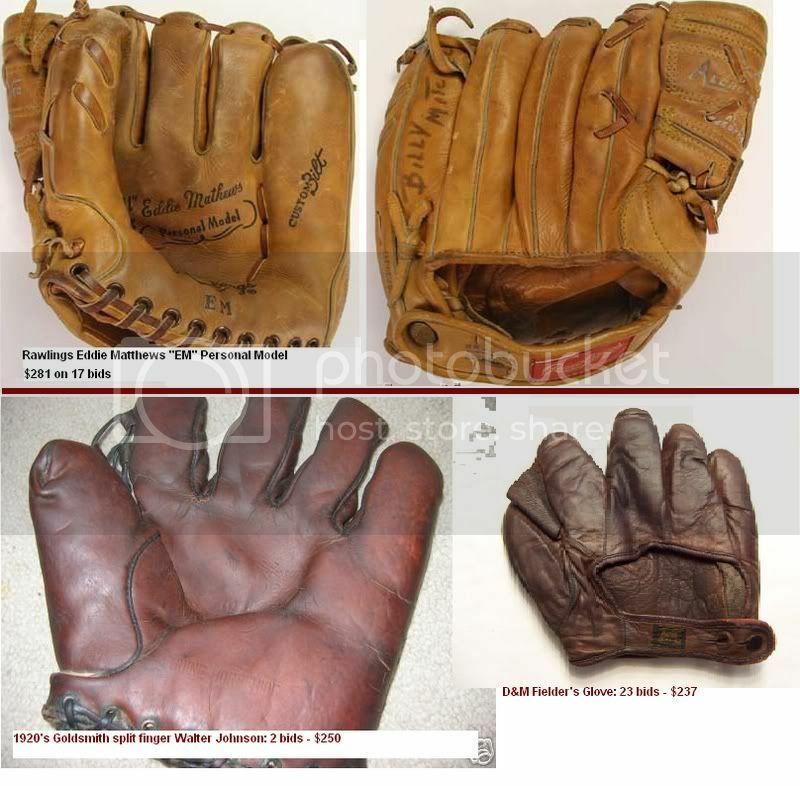 Winchester gloves always sell well, and the two-tone Rawlings is absolutely mint. There were plenty of great gloves this past week, too many to mention. Here are a last few from the week that are worthy of mention, including another Walter Johnson model glove - seems like a few of these have popped up over the last few weeks as well. Thanks again for the great post. Yes, it seems a lot of Walter Johnsons are popping up lately.